Granville Island is a zone of public possibility. It bridges our history with our collective creative potential. It is a place to escape the expected. 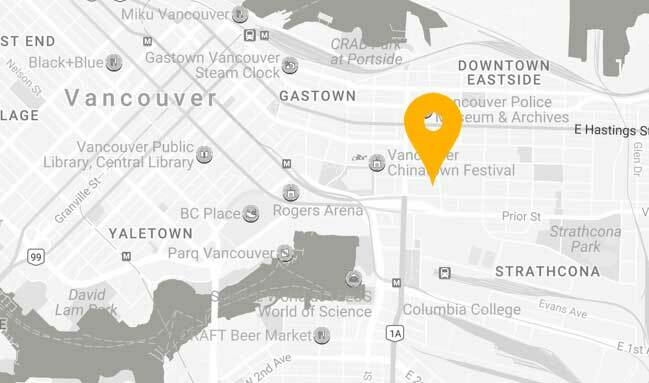 Groundswell is moving to Granville Island! With this announcement, we're taking a closer look at this quirky Vancouver locale and shining some light on what makes it especially special (in ways you have probably never heard before!) and a perfect fit for our alternative business school and community. Groundswell launched it's Community Marketplace on Granville Island this summer to give our community of young social ventures a chance to test, learn and grow their business by interfacing with the public. Come visit us every Tuesday from 11 am - 4 pm! Granville Island has a great mix of creative and entrepreneurial energy and a risk-enabling* culture that can support purposeful livelihoods and bring more vitality to Vancouver's local economy, according to the mandate it was redeveloped with in the 1970's. This happens to fit perfectly with Groundswell's mission. Working with this tactile, creative site of experiential and experimental learning, Groundswell Social Venture program participants and community members will be able to ideate, test, and evolve their social ventures all in one place. We're testing this model now with our Community Marketplace every Tuesday this summer on Granville Island, and we've discovered that the sort of learning the vendors are experiencing here could never happen in a classroom, and is critical to their success. Imagine having a public interface to your idea or startup with a team of mentors and a community of support on the ground around you. It's a low risk environment to take big risks in - and you're not alone! Hear from our members at this summer's Groundswell Community Marketplace on Granville Island. *Risk-enabling: our new favourite word! We found this term in the Granville Island 2040 vision report and it speaks directly to Groundswell's model of creating safe spaces for people to explore, experiment, test, fail, learn, and grow. With the tight economic reality most of us feel in Vancouver, a space that allows for risky ideas and actions, where it's not do-or-die to make rent, is critical to enabling creativity to flourish, new ideas to emerge and take root, and people to start new directions in life, work, and progressive change. This place can nurture a social economy ecosystem that anyone can tap into, not only artists but makers of all kinds, educators, health and wellness practitioners, community builders, foodies, and more. We can't wait to work with more partners on and off Granville Island to create even more opportunities for self employment and small business creation, staying true to values of social, economic and environmental justice as we do it. There is a resurgence of local attention on Granville Island this year because it is embarking on a new community plan. Consultations with residents, tenants, artists, planning professionals, and others who care about this place has resulted in the Granville Island 2040 report, which is meant to guide the next phase of the community's development, and it's incredibly inspiring to read (in our opinion!). Member of the Granville Island 2040 planning team and the public dreaming up possibilities for the future of the neighbourhood. Why stop at food trucks? Hello mobile art trucks! These successes notwithstanding, the time is right to renew the future vision for Granville Island. The past forty years have seen massive changes in Vancouver caused by population growth, immigration, increasing cultural diversity, and the economic disruptions of global trade, new technology and climate change. The challenges and opportunities arising from these changes must be addressed if Granville Island’s success is to be sustained. Granville Island 2040 presents a vision of the future in which these challenges are met, initiating an exciting new phase of growth and development, fostering a renewed passion for creativity and innovation, and a rekindling of the love affair with the Island for new generations. In this vision, transformational changes in transportation infrastructure help reduce private automobile traffic and parking , result in many more people accessing the Island by transit, cycle, ferry and walking, and restore the pedestrian-friendly public realm. The Public Market is expanded to make space for more offerings and public amenities, and new developments allow for the creation of a Market District – one of North America’s leading food and restaurant destinations. New creative industry facilities and programs establish an internationally important arts and innovation district. And the increasing scale and variety of activity, day and night, reflects the rich diversity of the Island’s surrounding community, and its privileged location at this important gateway to Asia. See you on Granville Island! You can visit us at the Community Marketplace every Tuesday this summer from 11 - 4 until we open the doors of our clubhouse this fall. Want to grow your idea into reality on Granville Island? You can APPLY NOW to our Social Venture Incubator program starting fall 2017 in our new home. Follow us online for more information about this special place in Vancouver, why we're so inspired by it, and invitations to our upcoming events.